Very Easy to Operate, Change Out Ink Cartridges and Adding Paper Rolls is a Cinch. Nicest Plotter I've Used and Very Fast CANON WIDE FORMAT | Industry Analysts, Inc.
Customers love imageRUNNER PROGRAF wide format printers. 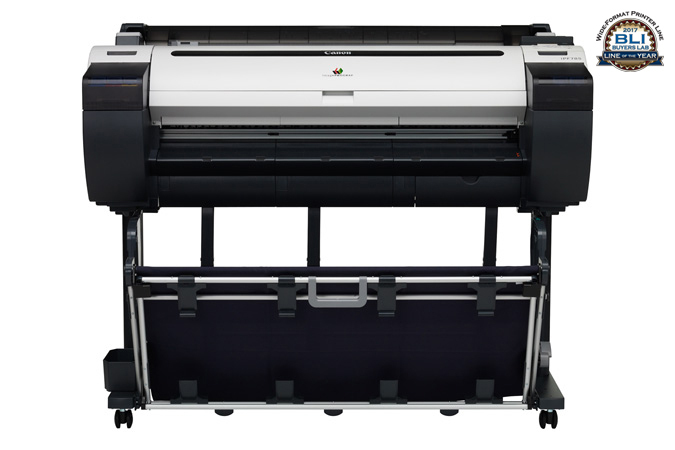 The iPF785 device is capable of producing an Arch D (24″ x 36″) print in up to 21 seconds using Economy mode, and an Arch E (33.1″ x 46.8″) print in up to 41 seconds! This entry was posted in Canon Wide Format and tagged canon, imagePROGRAF iPF785 by IA Staff. Bookmark the permalink.